A new exhibition is born! Ririsdoor presents ART CHARACTER FANFEST 소개 카드뉴스 a South Korean exhibition opens for the first time this weekend. Hosting a range of local artists as well as a couple of Japanese artists. Focusing on character design that we have loved over the years. 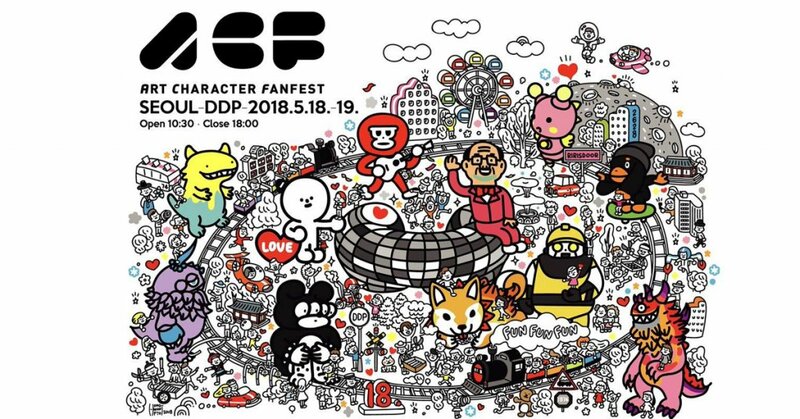 ACF will give corporations a chance to licence out artist characters as well as fans of new and old to check out their favourite artists characters up close. The roster has Konatsu, SOPP, DAN, Barabapa, Long Ear Bob,Shoko Nakazawa, Boenus, Bridge Sguip House, Dehara, T9G, Playgrounders and MORE! ACF is a free exhibition no reason not to go if you are located in Seoul, right? Heres a little preview of what to expect at ACF 2018.